This is the very last day that historic Maid of the Mist Boats has launched below the Niagara Gorge in Niagara Falls, Canada. October 24th has been traditionally the day the operation closes for the season. These boats have been launched from this area since 1845 making it one of North America’s oldest attractions. 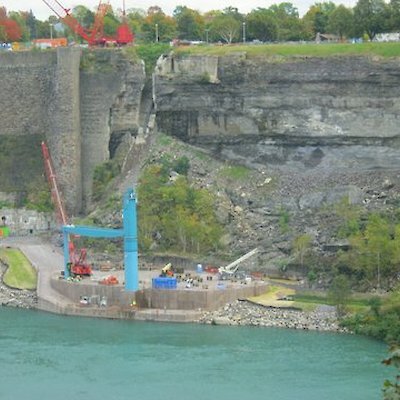 Next spring two 600 passenger Maids of the Mist boats will launch from a new location along the Niagara River north of the Rainbow Bridge in Niagara Falls, New York. I’ll attach a photograph of that new location. The move comes as a result of loosing a long time contract they had with The Niagara Parks Commission who owned the land they launched from. 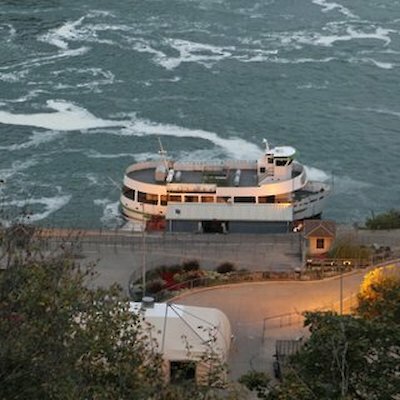 Next spring two new 650 passenger zodiac boats operated by a U.S. based company, “Hornblower Niagara” will operate from an upgraded location with new facilities where the “Maids” once operated. 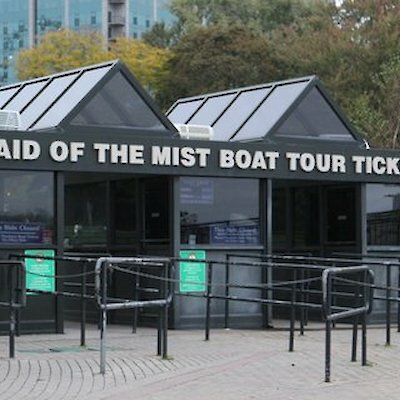 It will be interesting next year to see two sightseeing boats providing different tours to the base of Niagara Falls. Here are a few photographs I took of the “Maids” last few days of operating from Canada. P.S. October 24th is also the day that 63 year old Annie Taylor went over the Canadian Horseshoe Falls in 1901 and survived.